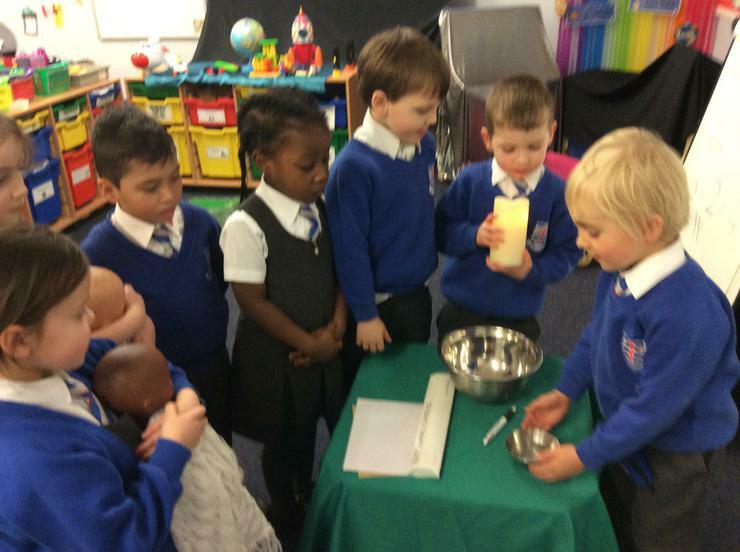 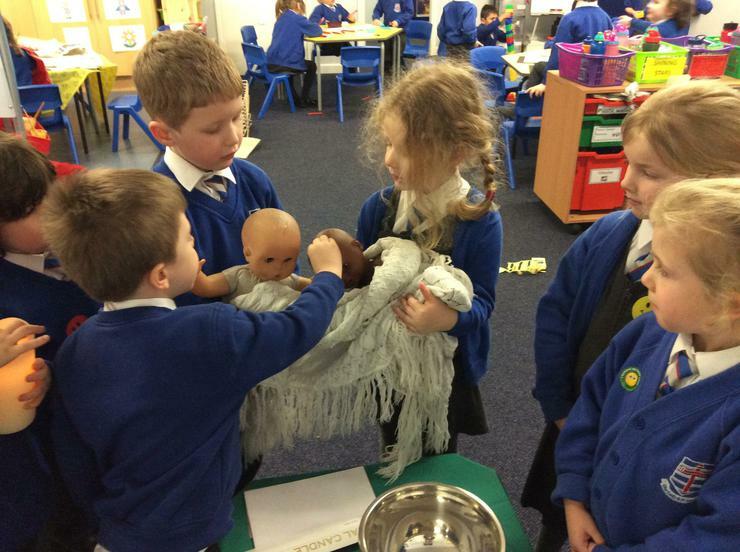 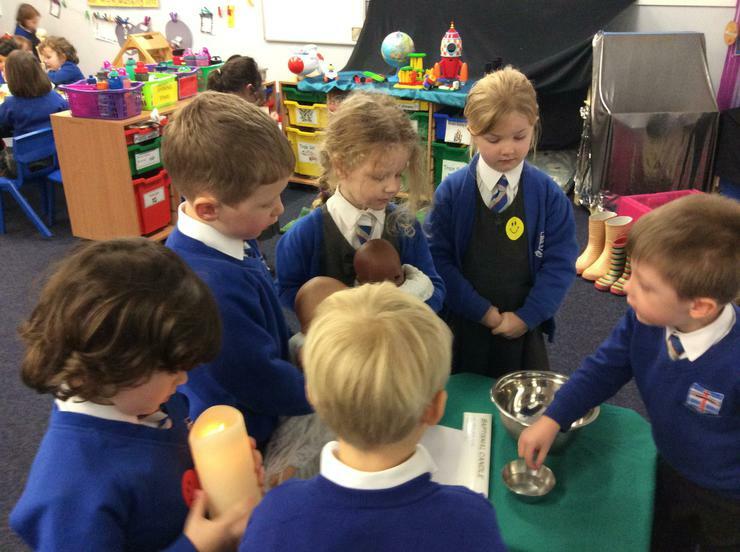 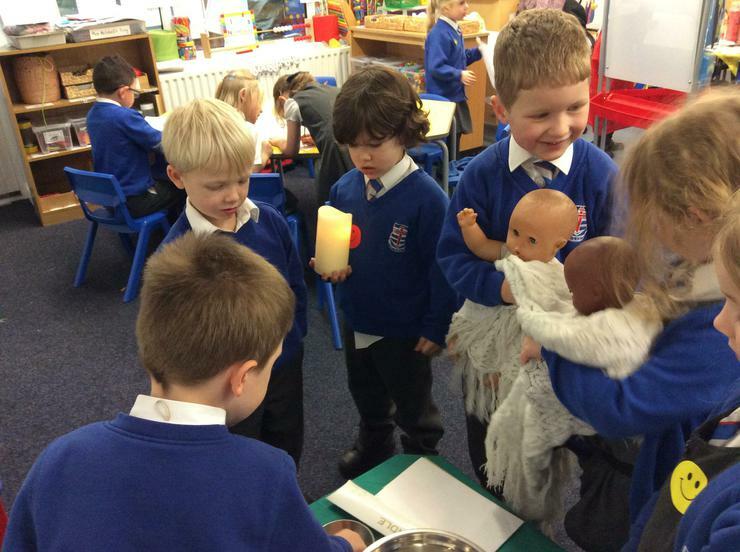 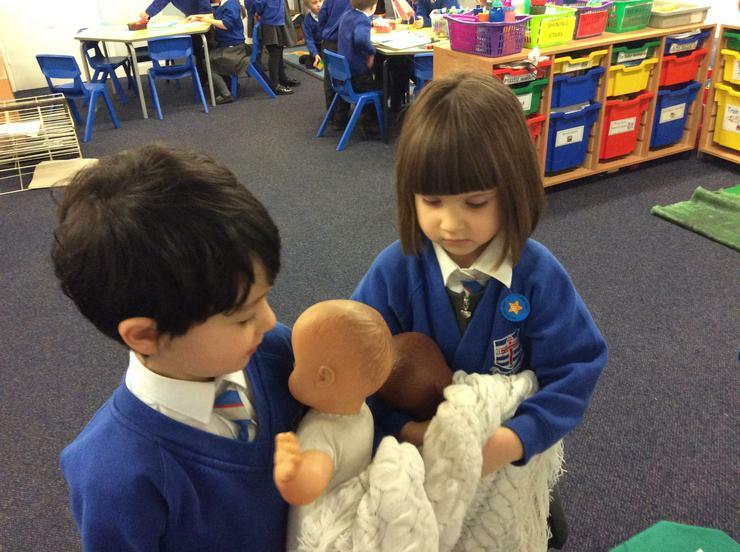 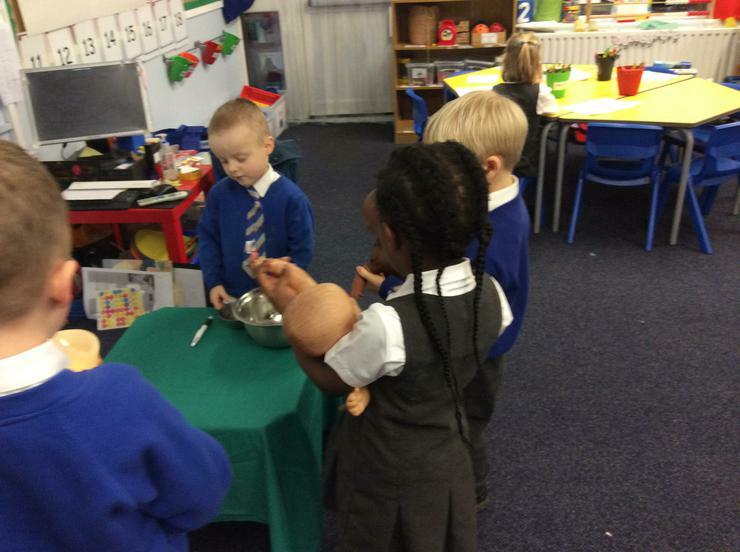 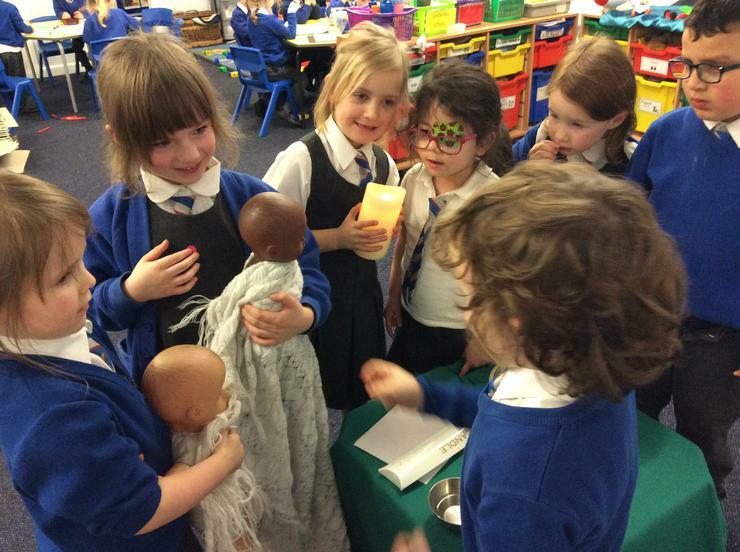 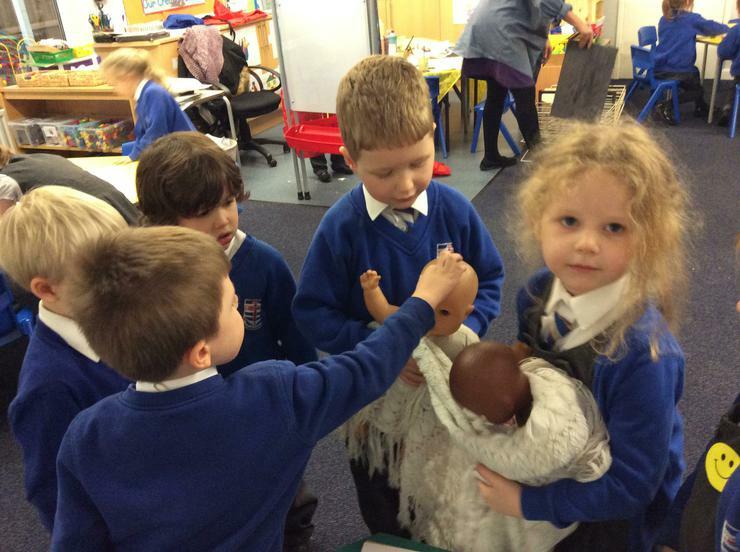 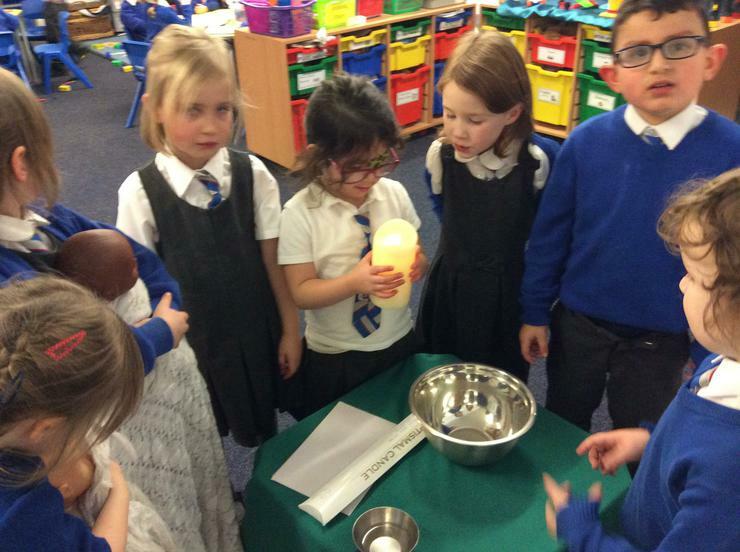 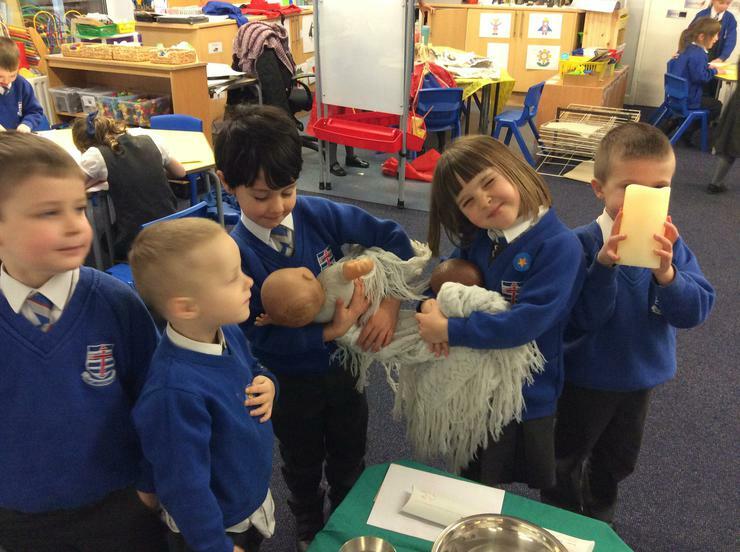 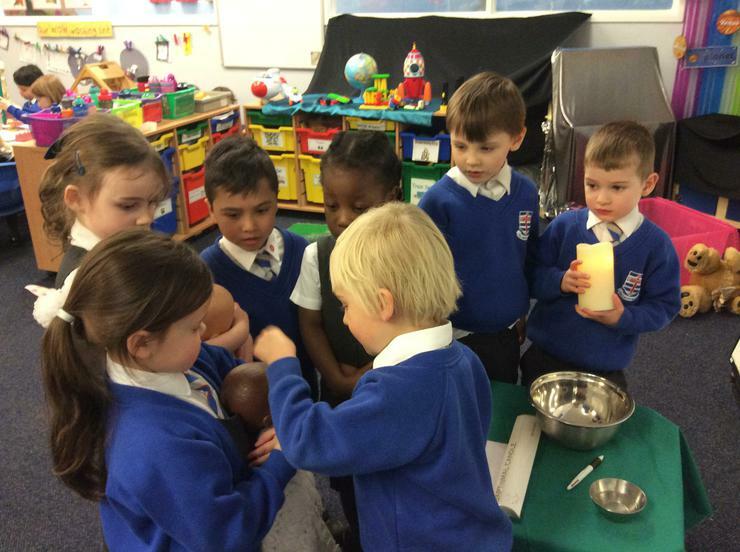 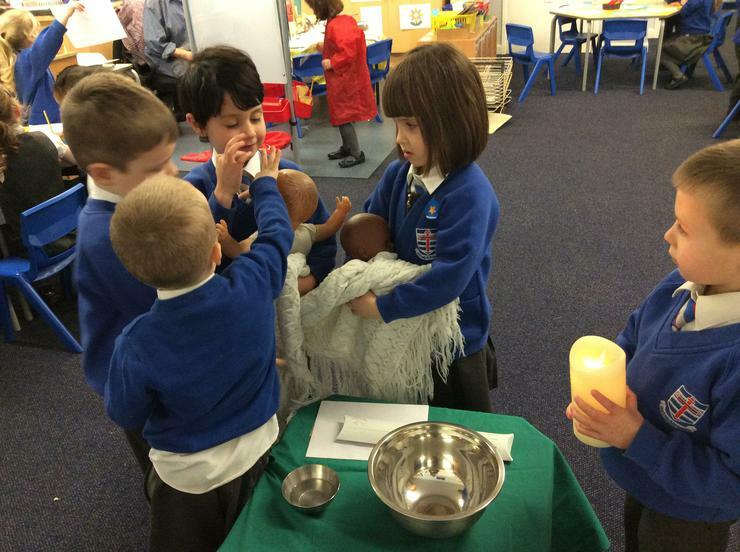 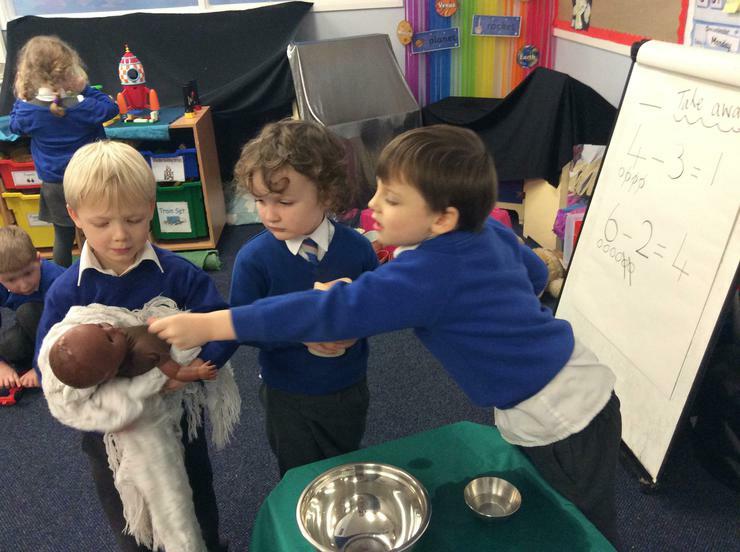 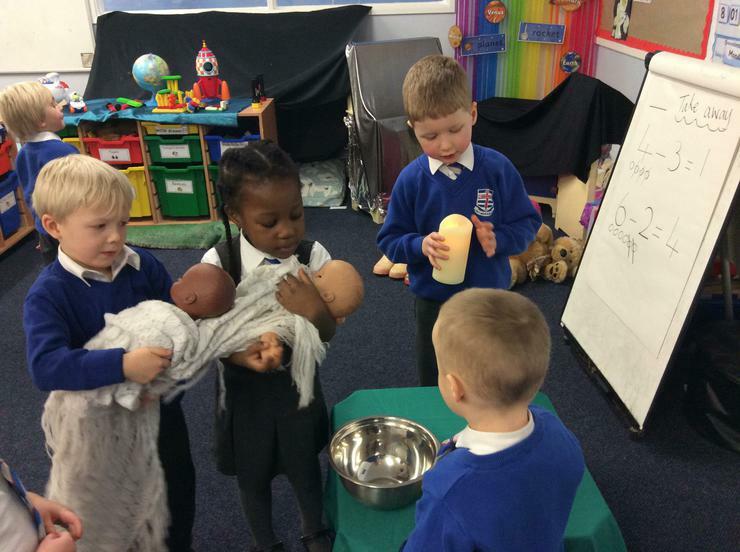 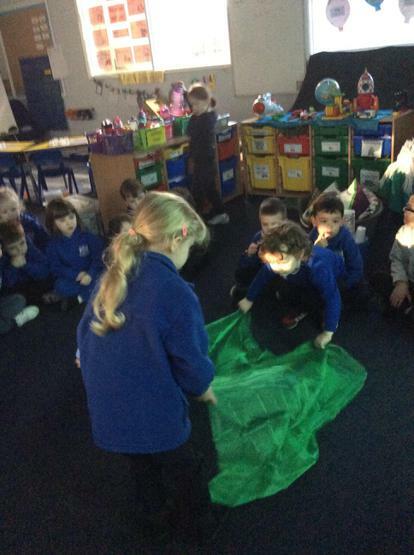 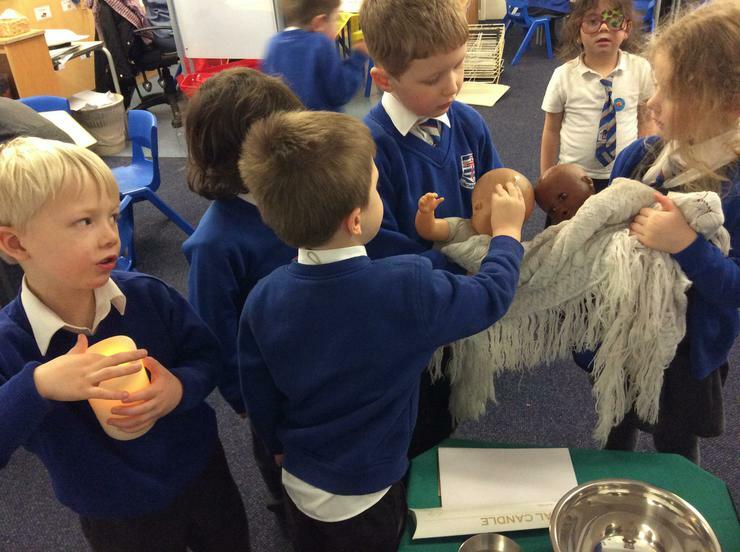 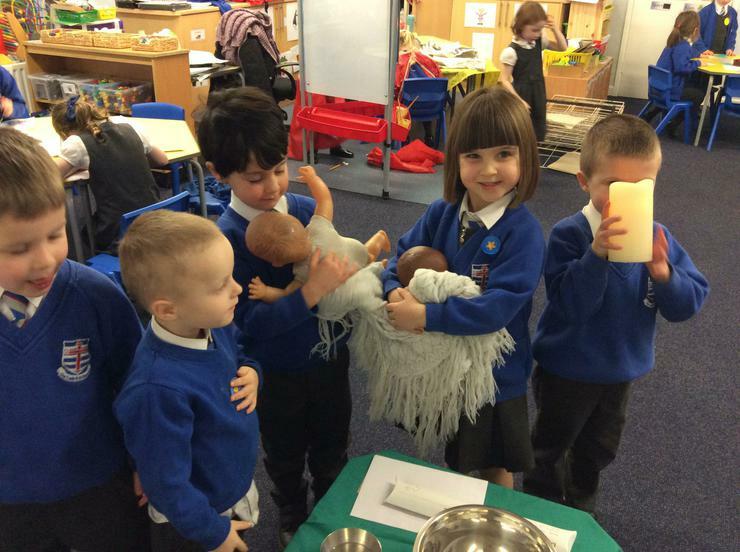 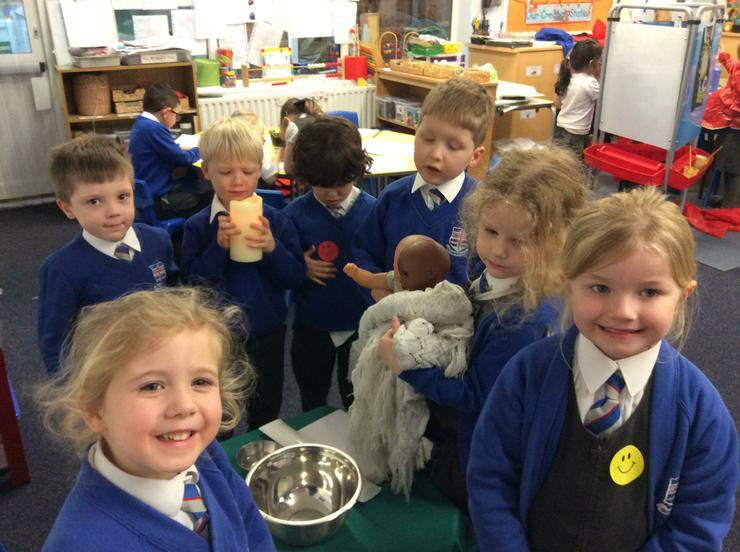 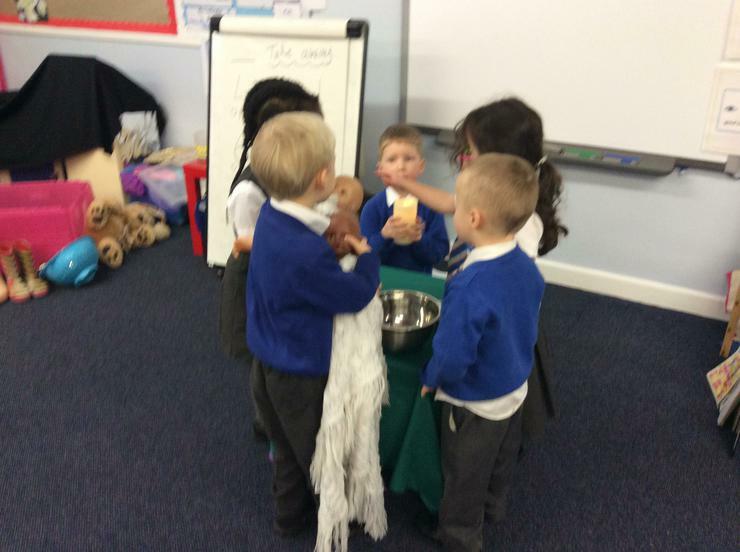 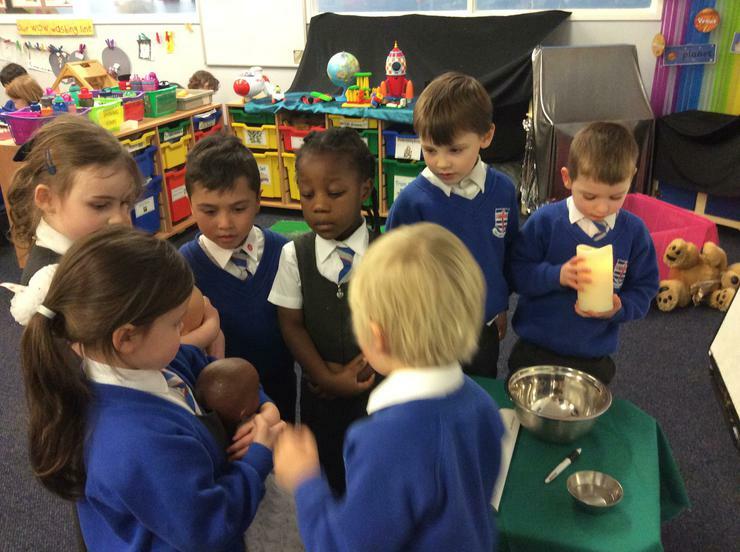 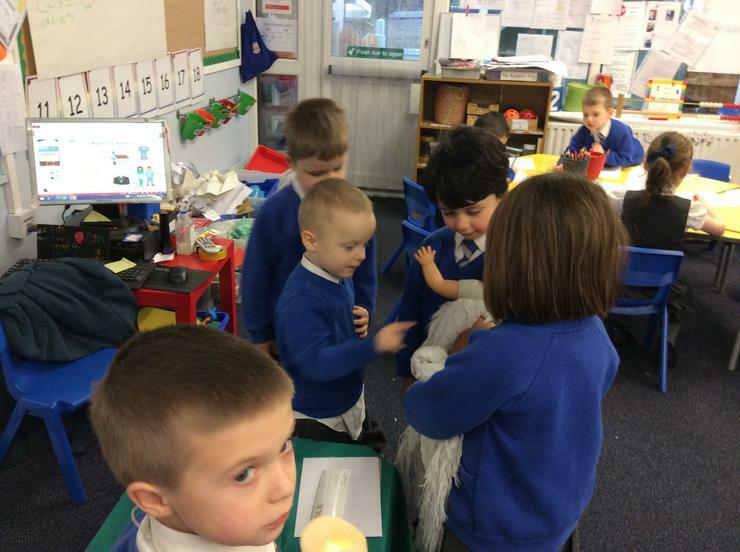 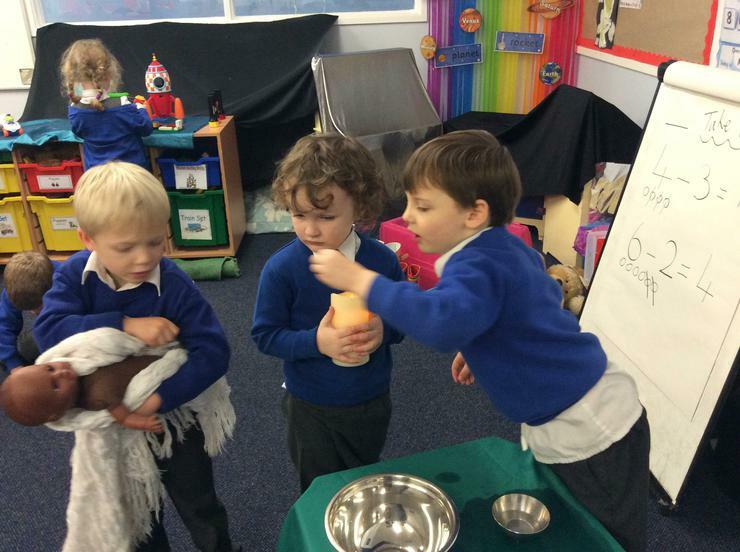 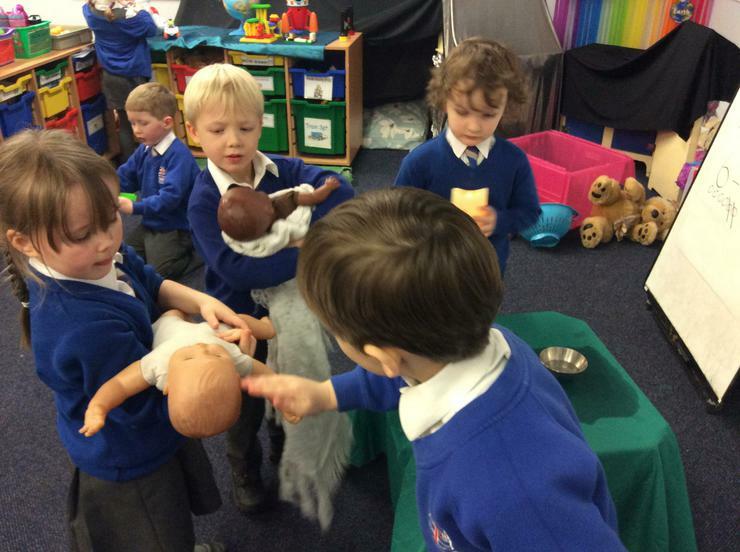 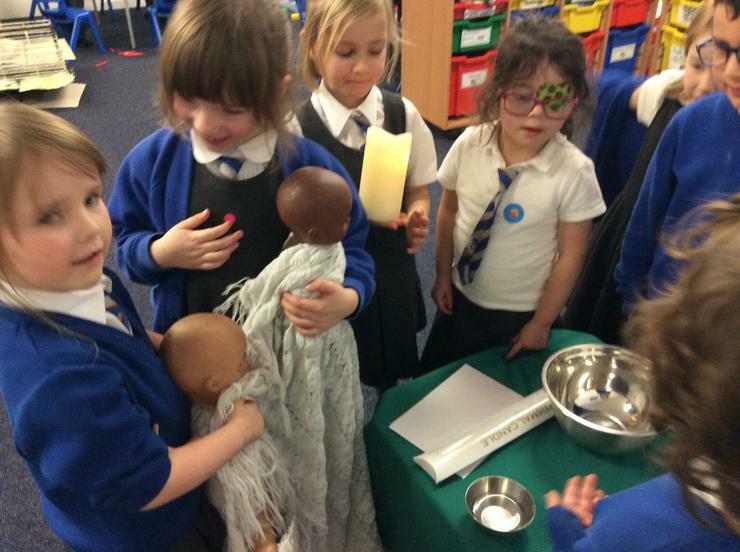 We are learning about Baptism in RE. 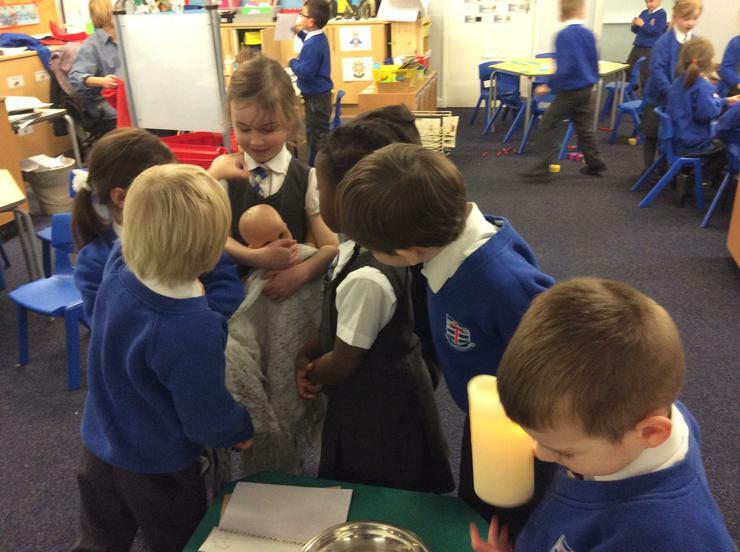 We know that when you are baptised you become part of God's family. 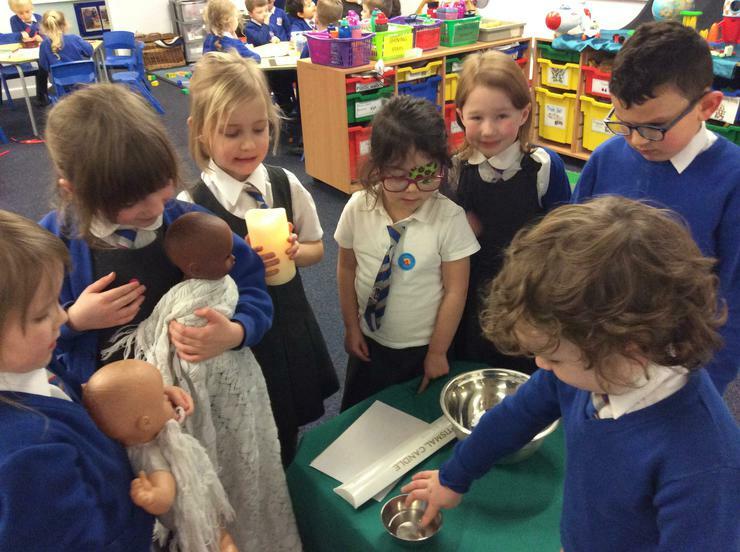 We are learning about the symbols of water, light and white clothing.